I have hundreds of images from my trip to California this summer, and though I have run through them and grabbed out some I like, I have not really had a chance to sort through them. I just took too many, and after awhile, scenic photos start to melt together and look the same. Now that some time has passed, I can more appreciate the beautiful scenery. 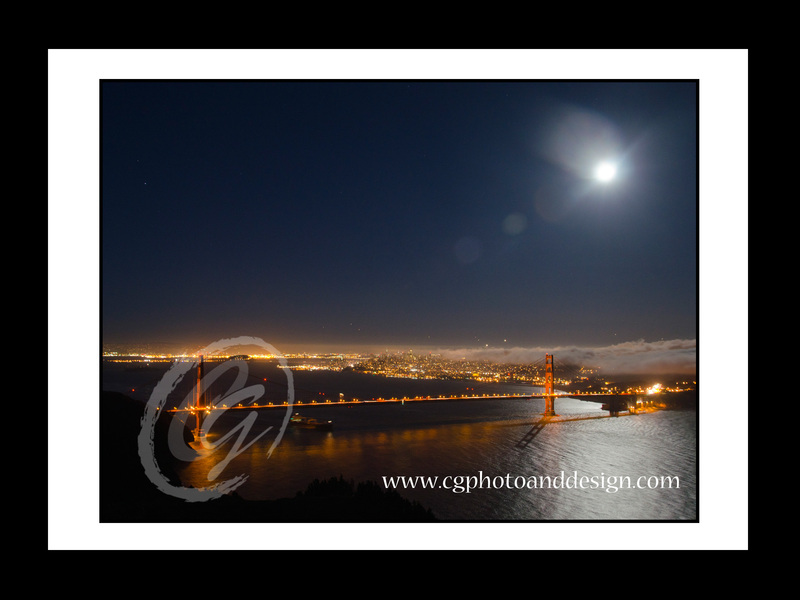 One in particular is this one of the Golden Gate at night. Slowly, but surely, I’ll share some more. 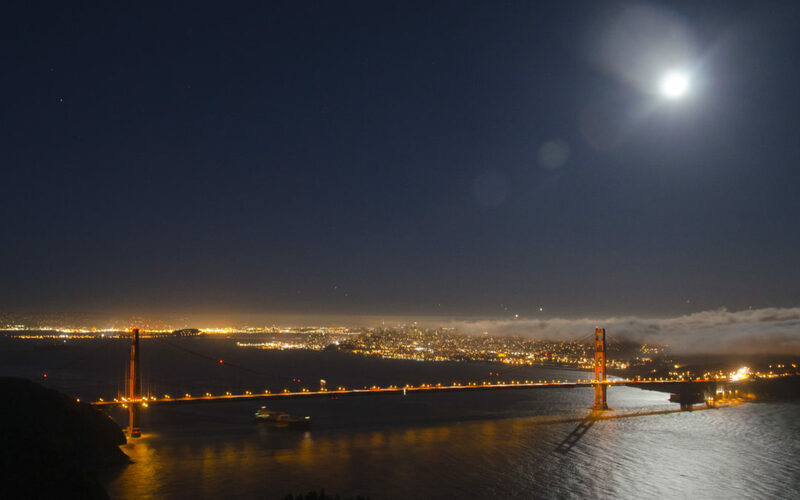 We were traveling south and happened to be passing San Francisco on the night of the “super moon”. Though we arrived about 45 minutes after the moon was on the horizon and really looking “super”, it was still a beautiful sight to behold. Every other photographer in the Bay Area must have agreed, since the windy road up the hill was packed with photographers vying for the best spot to capture this spectacle. Since I was weary of traveling and anxious to be at our next destination, I would have passed this up, but thankfully my wonderful husband turned off the highway despite my lack of interest. He made me get out, with my tripod, to take the picture. Bad photographer. Good husband! Anyway, here is the fruit of his encouragement.